How are you going to use the loan? Need a mortgage for your first home or for an investment property? We work with some of the best mortgage brokers that can offer you their lowest interest rates even if you have a low credit score. Reverse mortgages have grown significantly in popularity over the last few years because they allow the borrower to take out a loan towards their property without the risk of losing the property if they are unable to repay the loan. Debt consolidation is a necessity when you have loans and are looking to lower your monthly payments. Our lenders will offer you their lowest rates possible regardless of your credit score. Drive the car you want at a payment you can afford. We work with the best car loan lenders that will approve you regardless of your credit score and will offer you the best interest rate possible. We have business loans available from $5,000 to $300,000. Whether you're looking to jumpstart or to grow your business fill out our form and get quotes within minutes from some fo the top lenders at the lowest interest rates available. If you're struggling with debt and need expert advice then Loans Geeks can put you in touch with the best local credit counselors. They will analyze your situation and come up with a personal strategy to help you get out of debt faster. Our lenders will provide secured or unsecured loans to anyone, even those with bad credit. Use Loans Geeks to get the lowest interest rate possible from local lenders that specialize in bad credit loans. Need quick cash? Then a payday loan is the perfect option for you. We work with some of the top lenders that can offer you their lowest interest rates even if you have a low credit score. Depending on the type of loan that you need, we will match you with the most fitting loan lenders in Canada. You will get to choose from up to five of the most competitive loan options available. 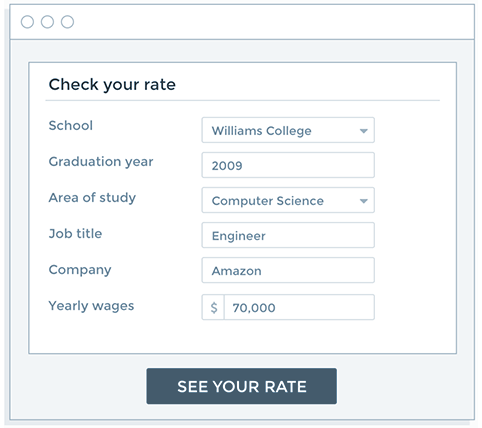 Submitting your loan application with Loans Geeks is easy and fast – simply fill in an online secure form. No hassle and no paperwork required! If your application is approved, the requested funds will be deposited to your bank account. No more long waiting to get a reply from a lender, if any. If you’re curious about your credit score and how other financially savvy individuals are improving their financial position by following some straight-forward steps, we’ve written a free eBook. 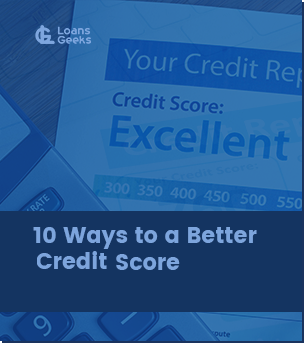 Download “10 ways to a Better Credit Score” and learn how you could improve your credit score by managing your debts better. Also, learn more about how Loans Geeks can help you. Whether you are looking to purchase a new car or you would like to consolidate your debts, getting a loan in Canada has never been easier, thanks to Loans Geeks. We have noticed the gap that exists between traditional financial institutions that are very reluctant to approve loans in Canada to anyone with a less than stellar credit score, and regular Canadians from different walks of life who desperately need the funding so they could deal with different financial challenges. We have thus partnered up with some of the top rated loan lenders, who offer in-house funding, making it possible even for people with bad credit histories to secure loans in Canada, when they otherwise couldn’t. At Loans Geeks we will match you with the best loan providers in your area who can offer you convenient loan options, regardless of your credit score. Application process via our platform is intuitive and fast, and you will get to choose among up to five best-deal offers available. Approval process usually takes from a few hours to 3 business days, depending on the loan in Canada that you’re applying for. While each small business has its specific challenges and objectives for which they need a loan, not all loan lenders in Canada will allow spending the capital for just any purpose. Loan Geeks will match you with Canadian loan lenders who will typically allow you to use your loan for a wide range of purposes – from buying technology, equipment, inventory, to expanding or marketing expenses. Easily and hassle-free. As a car is a necessity for vast majority of Canadians, we at Loans Geeks have partnered with a rich network of reputable loan lenders from all regions and provinces to make it possible for you to secure exactly the car loan that you want. Many credit cards have notoriously high interest rates that accumulate if you are late on your monthly payments. With the help of Loans Geeks, you can make a credit card consolidation that will allow you to combine all of your high interest credit card debts into one loan, at a much lower monthly rate. If you are struggling to make ends meet, applying for debt consolidation loans in Canada via Loans Geeks will help you combine multiple debt payments into a single monthly payment. It will not only allow you to manage your debts properly, but will also enable you to save on interest charges. With different home equity loans available in the Canadian market, it can get difficult to choose the best loan for your needs. If you are looking to set a monthly repayment schedule for a definite period to pay off the loan, the second mortgage or home equity loans in Canada might be right for option you. With Loans Geeks you do not have to contact multiple lenders, bother with paperwork and waste precious time on physical visits. You can finish everything online, from the comfort of your home. Different financial institutions offer mortgage loans in Canada at different interest rates and under different terms. At Loans Geeks we will considerably facilitate this process for you, matching you with some of the top-rated mortgage lenders available in your area, who will offer you the most competitive rates. Applying and qualifying for payday loans in Canada via Loans Geeks is a very quick process, typically without any hassle. In most cases you will have your loan application approved and receive the requested amount on your bank account within 1 business day. We partnered up with selected, top-rated financial institutions willing to help Canadians, even those with bad credit scores. When you look for personal loans in Canada via Loans Geeks, we will match you with up to five loan lenders and their most competitive offers available for your area of residence and your specific financial situation. At Loans Geeks, you will be matched against the loan lenders in Canada who can provide you with the financing that you need, at rates that you can afford.